The decision to divorce may provide you some relief because a resolution to your unhealthy marriage is in sight. However, your relief may turn to stress once you realize how much work will be involved in the process. A divorce agreement involves making tough decisions about money, property, and parenting. If you feel overwhelmed, you must remind yourself that you cannot complete the process all at once, even if you wanted to. When starting a divorce, you can divide tasks between what needs to be done immediately and what you should keep in mind for later. In most cases, divorced or separated parents’ obligation towards child support for an individual child ends when the child turns 18 years old. If there are other children who are still minors, the support payments must be modified to reflect one less child. Otherwise, the support payments end once the last child becomes a non-minor. 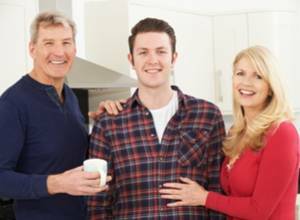 A parent may not feel like his or her parenting expenses are over if the non-minor child continues to live with him or her or is still financially dependent. There are three situations in which Illinois law allows the primary parent to continue receiving child support payments after the child has become a legal adult. Location of Divorce: Court availability is a factor for all divorce cases, but some county courts are subject to more delays than others. How soon you can have a court hearing depends on the number of cases the court has and how efficient the court is with its cases. Filing for Divorce: Your divorce may be delayed from the beginning if your spouse does not cooperate after being served the divorce papers. In some cases, a spouse may be difficult to track down. In others, a spouse may contest the dissolution of marriage. Courts rarely deny a dissolution of marriage request, but you will need to attend additional hearings to resolve the matter. Existing Agreements: Having a premarital or postmarital agreement can shorten the negotiation process. However, your attorney will need to review the agreement to determine whether it complies with divorce law. A premarital or postmarital agreement cannot settle issues related to children. Parenting Issues: Spouses often dispute the allocation of parental responsibilities and child support payments during divorce negotiations. Not having dependent children may save months on your negotiation time. Value of Properties: High asset divorces can take longer to negotiate because there is more financially at stake in dividing properties. You must assess the value of all of your properties, determine which ones are marital properties and negotiate who will retain each property. Level of Conflict: A divorce moves quicker if the spouses can agree to a settlement without needing a court to decide. In a high-conflict divorce, the spouses may be unwilling to agree on basic issues during negotiations. It takes only one obstinate spouse to cause negotiations to break down. While there are ways to complete your divorce sooner, you should not rush to a conclusion that puts you at a disadvantage. 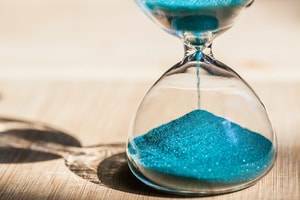 A DuPage County divorce attorney at Calabrese Associates, P.C., can help you create a favorable divorce agreement without unnecessary delays. To schedule a consultation, call 630-393-3111. 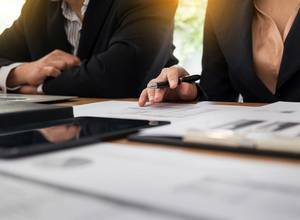 Negotiating spousal maintenance agreements during divorce may become more contentious because of a change to a long-standing tax law. The federal tax reform bill passed in late 2017 eliminated the popular alimony deduction for federal income taxes. 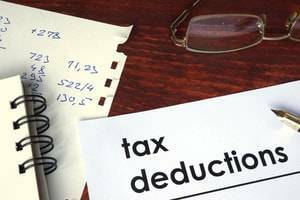 The deduction is an incentive for higher-income spouses to agree to pay spousal maintenance. With the uncertainty that the change has created, many divorcing couples are rushing to complete their agreements before the law goes into effect. Forever Is a Long Time: Staying married for life is a worthy goal, but how realistic is it? There are many conflicts and unforeseen circumstances that can occur during a marriage. To create a relationship that can withstand every test is remarkable. Making it 10 or 20 years is also a feat. Rather than disparage the marriages that do not last forever, we should be impressed by the ones that do. Quality of Marriage Matters: Success in a marriage means more than whether it still exists. Which would you consider a more successful marriage: A miserable couple who never divorces or a couple who had several happy years together but eventually decided to divorce? Most couples would not consider a marriage rife with conflict and misery to be successful. The happy times during your marriage means that there was some success. You Are Better Because of Your Marriage: A marriage that ends in divorce should be a learning experience for both sides. You understand the mistakes you made during your marriage and can apply what you learned to your future relationships. Also, consider what you gained from your marriage, especially if you had children. Being a parent can always be the positive that comes out of a marriage, meaning that the marriage had value. Your Divorce Does Not Define You: Even if you believe that your marriage ended in failure, that does not make you a failure. Your relationship broke apart, but you are not broken as a person. You have already proven that you are capable of finding someone who wants to have a meaningful relationship with you. You may eventually find another relationship that is stronger than your past marriage. However, you should not let your relationships define your success as a person. Your identity is more than that of a spouse. You should not fear divorce, thinking that you are admitting failure in your marriage. Ending an unhealthy marriage gives you a chance at future successes. A DuPage County divorce attorney at Calabrese Associates, P.C., can help you through the divorce process. To schedule a consultation, call 630-393-3111. An amicable divorce process has more to do with your state of mind than with the circumstances of your divorce. 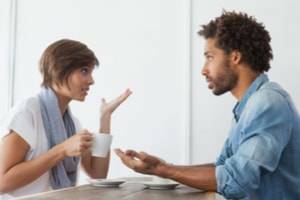 You can always find something to argue over if you are bitter towards your spouse. Conversely, you can settle contentious issues when you look at them from a logical standpoint instead of an emotional one. A high-conflict divorce may feel immediately satisfying because you are letting out your resentment towards your spouse. However, an amicable divorce has better outcomes and often results in less emotional damage. 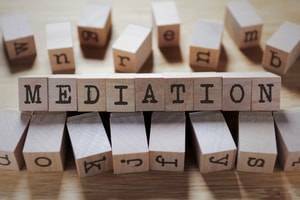 Mediation Does Not Require an Amicable Divorce: Mediation relies on the divorcing couple being able to communicate in a constructive manner in order to reach an agreement. It is the mediator’s role to facilitate the discussions and intervene when communications breakdown. The mediator can steer the conversation away from counterproductive subjects, pause negotiations when tensions escalate and bring in a therapist to help teach constructive communication skills. Mediation Is Not Like Marriage Counseling: Though a mediator will encourage improved communications between the parties, reconciling a marriage is not his or her goal. The purpose of divorce negotiations is to settle the division of property and parental responsibilities. A divorce mediator is someone who has experience with the legal process of divorce, not a relationship counselor. The Mediator Will Not Control the Negotiations: Spouses lead the negotiation during the divorce mediation and will decide the terms of the agreement. The mediator is a neutral resource who understands the legal requirements for creating a divorce agreement. The mediator can inform both sides of the state’s divorce laws and how they may apply to the issue being discussed. Both Parties Can Have Attorneys During Mediation: Divorce attorneys will not accompany spouses into the mediation negotiations. That is a different form of alternative dispute resolution called collaborative law. However, both parties in a mediation are encouraged to have their own attorneys on standby. The mediator cannot give advice that would favor one side, but each side can contact his or her own attorney for guidance as needed. It is also advisable that both sides allow their own attorneys to review the divorce agreement that comes out of mediation. You can settle any divorce issue through mediation, but the process may not work for some people. 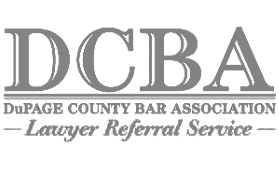 A DuPage County divorce attorney at Calabrese Associates, P.C., can advise you on the benefits of mediation or litigation for your case. Schedule a consultation by calling 630-393-3111. Remember That You Are a Co-Parent: Though you are divorced, you and your former spouse share the role of being parents. You should develop a business-like relationship with each other so you can communicate about your parenting concerns. You will not agree on every issue, but you should try to find some consistency in discipline and expectations for your children’s behavior. Showing that you both can still cooperate is an important lesson for your children. Shield Your Children from Conflict: You should never make your children feel that they are in the middle of your argument with their co-parent. Do not complain about your former spouse in front of them. Do not ask them for information about their other parent. Do not use them as messengers or delivery people with their other parent. Your parenting time should focus on them and not your former marriage. 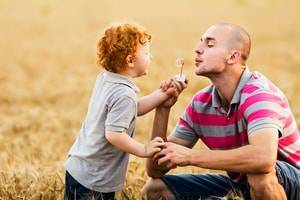 Create Good Memories: Your children will likely remember your divorce as a sad time in their lives, but you can try to create some positive memories to go with it. You need to be proactive in making the most out of the time you have with your children. Find time in your regular schedule for fun activities with them. Create a supportive atmosphere to make sure they know they are loved. Listen to Your Children: In your effort to remain positive around your children, you should not ignore signs that they are depressed or upset. Ask them what is bothering them and take time to listen to what they say. Encourage them to come to you when they have questions they need to have answered or are feeling down. You need time with your children in order to help them adjust to their new lives after divorce. 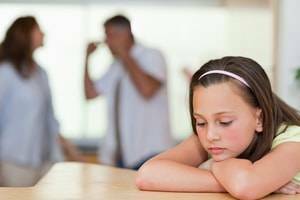 A DuPage County divorce attorney at Calabrese Associates, P.C., can negotiate a fair division of parenting time. To schedule a consultation, call 630-393-3111. 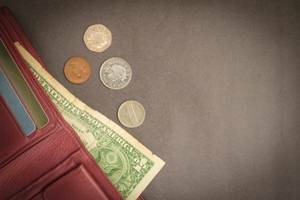 When Can Spousal Maintenance Be Modified? The value of properties awarded after divorce. An Illinois court will award modifiable spousal maintenance if the spouses cannot agree to terms during the divorce negotiations. However, divorcing couples can present other forms of maintenance agreements that have different conditions for when the agreement may be modified. Unsafe Environment: One of the primary benefits of staying married is having a stable home for your family. However, frequently fighting with your spouse instead creates an unhealthy environment for everyone. If the fighting becomes physical and verbal abuse, you need to remove your children from that toxic environment. Loneliness: Living with someone you no longer love can make you feel as isolated as being single. Your marriage lacks the intimacy you need to feel fulfilled. 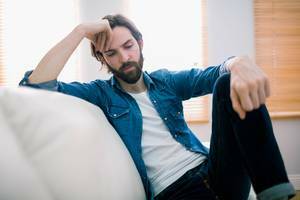 You may be afraid of being alone after your divorce, but you should consider whether you already feel lonely in your marriage. By being single, you at least have a chance of finding love again. Lack of Happiness: Marriage vows traditionally include the term “for better or worse.” You promise not to give up just because your marriage is going through a rough patch. However, you need to have the good moments to balance out the bad. Suffering in a marriage with no payoff is more masochism than dedication. Your own sadness also has a way of spreading to your children, affecting their moods. Fear of Change: There are valid reasons to work on a marriage instead of getting a divorce. You may still love your spouse and believe there is a path to a better marriage. You may want to try your hardest to salvage your marriage for the sake of your kids. However, some spouses avoid divorce because they are afraid of the change that comes with it. If complacency is the only thing preventing your divorce, you are better off making the decision now. A divorce done right will make you happier and healthier than you were in a bad marriage. A DuPage County divorce attorney at Calabrese Associates, PC, can guide you through an amicable divorce with your spouse. To schedule a consultation, call 630-393-3111. One of your first considerations after filing for divorce should be how it will affect your health insurance coverage because most spouses share an insurance plan. If your insurance plan is through your employer, you have little to worry about. You may be able to switch to a cheaper plan if you do not have children to cover. If you were on your former spouse’s health insurance plan, you will lose your insurance coverage. There are several ways to continue your health insurance after divorce, though some plans are expensive. Your own employer should be the first source you consider when looking for health insurance coverage. If your employer provides health insurance, you have likely been notified each year of your option to sign up for the employee plan during the open enrollment period. Your divorce is a qualifying event that allows you to enroll for employee health insurance at any time of the year, as long as you make the request within 30 days after filing for divorce. 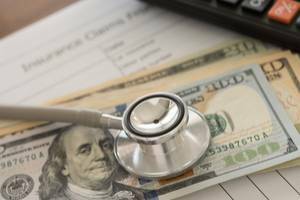 Employee health insurance is likely the most affordable and stable option you can have. How parenting agreements will be enforced across state lines. Most states in the U.S., including Illinois, have adopted the Uniform Child Custody Jurisdiction and Enforcement Act to set guidelines for co-parenting across state lines. Illinois has largely removed the consideration of fault by either party from the divorce process. 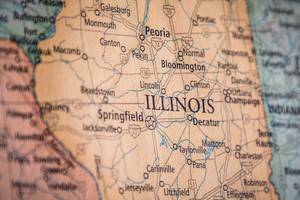 Because Illinois is a no-fault divorce state, a spouse may only cite irreconcilable differences when filing for divorce. Though infidelity or abuse can cause divorce, divorce courts are not concerned with them when determining whether to grant a dissolution of marriage. It is a spouse’s desire to divorce that is important, not the reason for it. However, some accusations of fault remain relevant when a court creates the terms of a divorce agreement. The court may consider illegal or immoral behavior by one spouse when deciding to compensate or protect the other spouse. Illinois divorce law instructs courts to equitably divide marital properties between two spouses. Equitable is different than equal because it means the courts are not required to be exactly even when dividing properties. Courts can start from equal and use their judgment to determine what would be a fair share of properties. 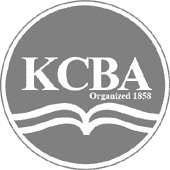 Acts of fault that include financial impropriety are part of the court’s reasoning process. For instance, a spouse having an affair often buys gifts for his or her affair partner. A court may financially compensate the victim spouse during the division of property if the cheating spouse used marital properties to purchase the gifts. Use Folders: Whether physical or digital, you should sort all of your divorce related documents for future reference. For physical documents, folders and binders should work well, along with a filing container. On your computer, you can create folders and subfolders for text documents, spreadsheets, PDFs and other files. You can also use folders in your email to sort messages. Folders will both protect your documents and make it easier to find them later. Coming Up with a System: There are many ways you can categorize your documents. The system you choose should be one that makes the most sense to you, as long as someone else can reasonably understand it. However, keep in mind that you may often need to look up documents based on subject matter, such as personal income, properties, or benefits plans. Getting Rid of Clutter: There are files and paperwork that you do not need keep after their initial use is over. In some instances, keeping old drafts of documents can cause confusion. You do not want to accidentally use a document that is out of date. Consult with your attorney about whether there are documents that are safe to erase or destroy. Back Up Your Files: In the event that your documents are lost or destroyed, it is important to have copies of the files. This is easier to do with digital files because you can back up your files on a cloud server or external hard drive. You can also take pictures of your paper documents and store them digitally. Just make sure you regularly update your backup files. Do Not Put Things Off: Your biggest obstacle to your organization may be psychological. Divorce is stressful, and it is tempting to ignore documents and files that will add to your stress. Allowing papers or emails to pile up will make it more difficult to organize them later. You should get in the habit of immediately reading documents and sorting them into the appropriate files. 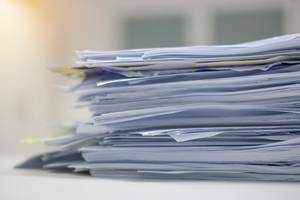 You should talk to your lawyer if you feel overwhelmed by all of the documents and paperwork you are receiving during your divorce. A DuPage County divorce attorney at Calabrese Associates, PC, will advise you on how to handle the pressures and workload associated with divorce. To schedule a consultation, call 630-393-3111. Regular Exercise: Find a time in your schedule when you can routinely exercise. The activity relieves tension and may expend enough energy to make you tired when it comes time to sleep. A tired body can override an active mind. Decompression Time: Your mind needs a chance to settle down before you go to sleep. Create a cutoff point during the evening after which you will try not to think about or do any work related to your divorce. Find a relaxing activity that will distract your mind. No Late Night Snacks: Food or drinks that have caffeine, nicotine or sugar can stimulate your body at a time when you are trying to sleep. Do not eat snacks containing these for at least three hours before you go to bed. Also, do not use alcohol as a means to go to sleep. Drinking may make you drowsy, but it can also interfere with you getting the restful sleep you need to recover. 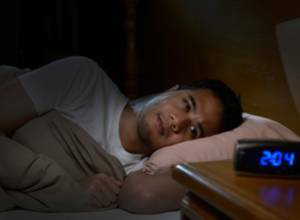 Sleep Schedule: It is easier to fall asleep if your body is familiar with a regular sleep schedule. Try to stick to a normal routine of when you go to bed and when you get up. Tiring Yourself Out: If you are trying to sleep but are not tired, you may be better off getting up and doing something instead of lying in bed awake. A stress-free activity may help you relax and eventually grow more tired. 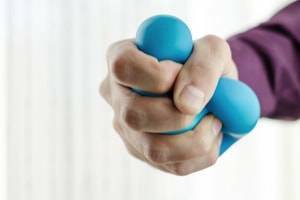 Calming Thoughts: When feeling overwhelmed by stressful thoughts, some people use mechanisms to calm themselves. It could involve repeating a mantra or concentrating on a noise or physical sensation. The idea is to focus on something that puts you in the present. Divorce can be a long and difficult process, but you will not go through it alone. 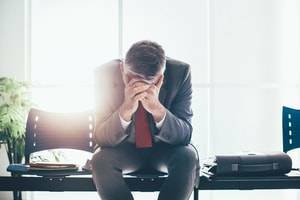 A DuPage County divorce attorney at Calabrese Associates, PC, can handle many of the stressful aspects of your divorce. Schedule a consultation by calling 630-393-3111. Hurt that your spouse is seeking the admiration of someone else. Because Illinois is a no-fault divorce state, you cannot cite the sexual harassment as a reason for your divorce or expected to be compensated for it. However, your spouse’s involvement in a sexual harassment case can still affect your divorce. Creating a prenuptial agreement is helpful in settling financial issues that will come up during a divorce. The agreement lays out a plan for how premarital properties will be treated and what level of spousal maintenance will be provided. However, spouses should consider it a living document that may need to be updated. Financial circumstances in the marriage can change in ways that make the agreement obsolete or unfair to one party. It will be easier for both parties to renegotiate the prenuptial agreement while still married than during the divorce. Evidence of an immature romantic relationship can be seen in how a couple breaks up with each other. To avoid the pain of the breakup, one person may avoid talking to the other or place all of the blame for the breakup on that person. As important as a marriage is, you would like to believe that a married couple would be more mature than that when getting a divorce. However, some spouses follow the same behavior patterns as immature couples that break up. The difference is that behaving poorly during a divorce can have more serious consequences. If you both behave like adults, you will increase the chance of having amicable divorce negotiations.